Laurel Daniel was born in 1956 in Racine, Wisconsin, and graduated with a studio art degree in 1979 from Wheaton College in Illinois. After almost 20 years in the graphic design business, she returned to oil painting in 1999. Laurel now lives and paints full time in Austin, Texas, and teaches painting at The Contemporary Austin Art School and offers workshops through the Anderson Fine Art Gallery. Laurel is drawn to nature's many forms, but works primarily wih images of the landscape. 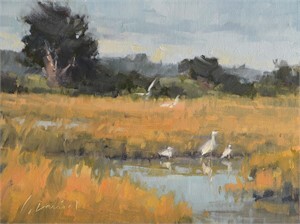 She is an avid plein air painter and her fieldwork both feeds and motivates her larger studio work. Whether she is working outside or in, Laurel paints to better understand the nuance of changing light. 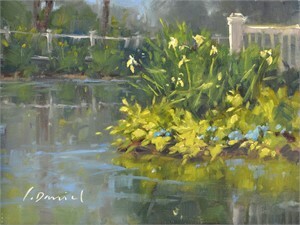 Laurel's work is in many private and corporate collections; and has been published in Plein Air Magazine and International Artist magazine. She is a Signature Member of the Outdoor Painters Society, a Signature Member of the American Women Artists, a member and past-president of Plein Air Austin, and an Associate Member of the Oil Painters of Ameria. Laurel Daniel was born in 1956 in Racine, Wisconsin, and graduated with a studio art degree in 1979 from Wheaton College in Illinois. After almost 20 years in the graphic design business, she returned to oil painting in 1999. Laurel now lives and paints full time in Austin, Texas, and teaches painting at The Contemporary Austin Art School and offers workshops through the Anderson Fine Art Gallery. Laurel is drawn to nature's many forms, but works primarily wih images of the landscape. 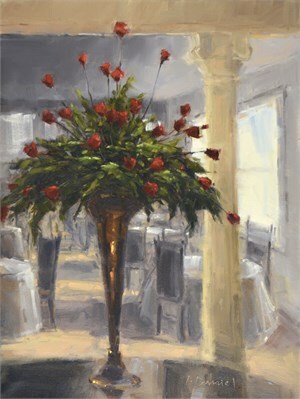 She is an avid plein air painter and her fieldwork both feeds and motivates her larger studio work. Whether she is working outside or in, Laurel paints to better understand the nuance of changing light. 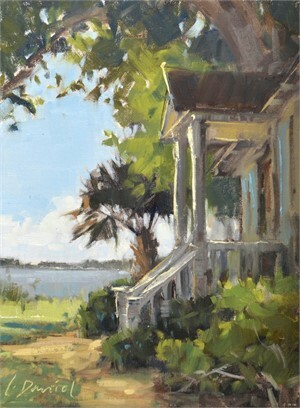 Laurel's work is in many private and corporate collections; and has been published in Plein Air Magazine and International Artist magazine. She is a Signature Member of the Outdoor Painters Society, a Signature Member of the American Women Artists, a member and past-president of Plein Air Austin, and an Associate Member of the Oil Painters of Ameria.